This unique, natural laundry liquid is enhanced with witch hazel, horsetail, soapwort and seaweed extracts to clean and care for your clothes, leaving them beautifully soft and fragranced with lavender, whilst looking after your skin and the planet. Made with 79% natural and certified organic ingredients, this super concentrated, allergy friendly product is free from SLES/SLS, phosphates, chlorine bleaches, optical brighteners, palm oil, GM ingredients, alcohol, gluten and is suitable for vegans. Use 30ml for a standard wash, you may need less for a quick wash or more in areas of hard water. This 500ml bottle will comfortably cope with 170 washes. Not tested on animals, septic tank safe and allergy UK certified. 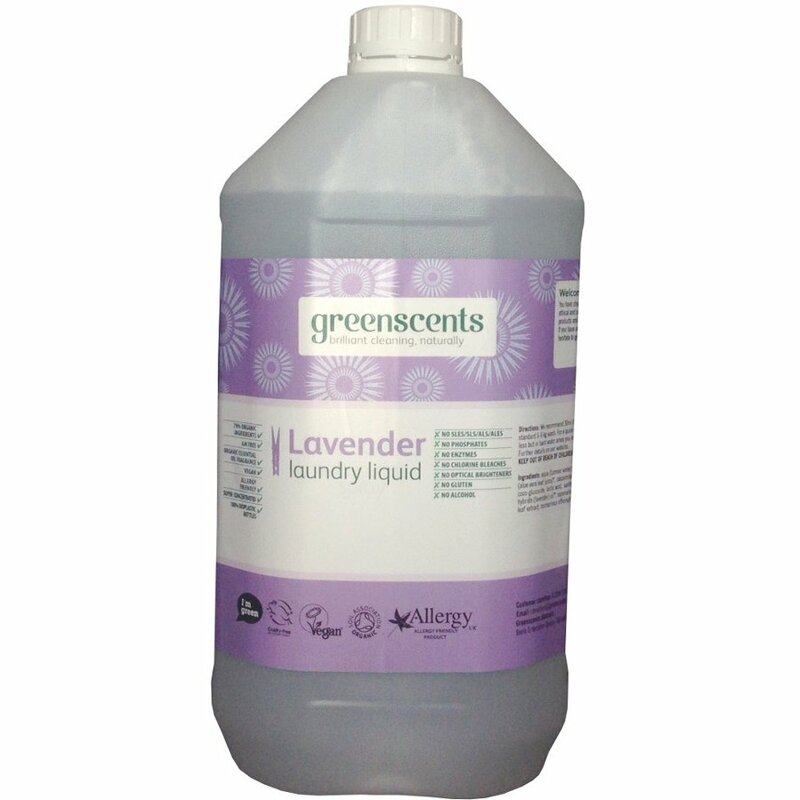 There are currently no questions to display about Greenscents Laundry Liquid Lavender 5L.